Only 40 kilometers from Lisbon, integrating the respective Metropolitan Area, Sétubal does also border with Alentejo, establishing an important bridge connection with the South of Portugal. This region rejoices in green hills, forests, streams and beautiful beaches. The big and beautiful mercado in the centre of Sétubal city offers local and fresh products such as bread, vegetables and fish. In addition, national and international supermarket chains such as Pingo Doce, Mini Preço, Intermarché and Lidl have made their way into the province, so the choice is quite varied. A singular contrast between the mountain and the river, Setubal is a land that belongs to the restricted Club of the Most Beautiful Bays in the World, and welcomes with open arms those who visit the County for tourism or to find their new home. Sétubal région is provided with an excellent accessibility, the county offers transportation solutions to the road haulage, rail, fluvial maritime transport, and the rail network provides effective services transporting passenger and goods. The Lisbon International Airport and Lisbon, the Portuguese capital are just 40 minutes away. The Port of Setubal located in the Sado Estuary works 24 hours a day, 365 days per year. The larger towns in this area are: Sétubal, Palmela, Montiju, Alcochete and Alvaiazere have all the usual facilities: schools, markets, shops, builders yards, restaurants, post offices, banks, doctors, dentist, pharmacies, retirement homes, churches, bus stations, sport centres & museums. Thanks to EU funding everyone and everything is connected by excellent roads. 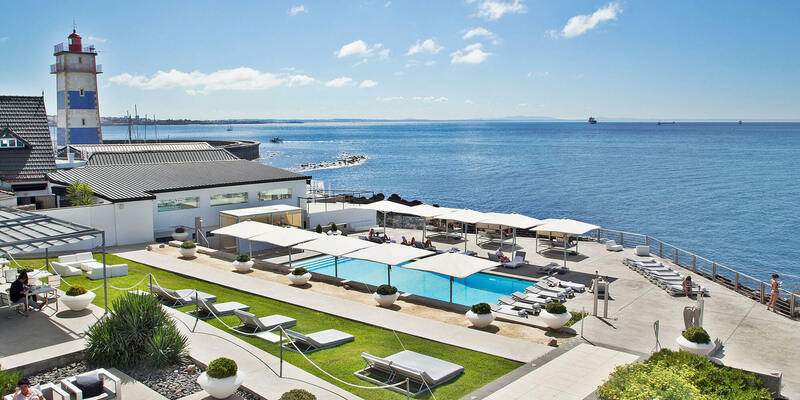 If you want to come and visit Sétubal, there are different hotels where to stay like Hotel Ibis Setúbal, Hotel Premium Setúbal, or Sado Business & Nature Hotel. If you want to visit the Sétubal region looking for your future home here, or only investing in real estate, we can organize everything for you. Just contact us to discuss about how we can help you. Portugal has a temperate maritime climate, affected by the Atlantic, with Continental and Mediterranean influences. It varies somewhat according to the altitude and proximity to the ocean.The summers are hot and the winters can have cold and frosty nights with sunny days or be warmer and very wet. The only thing you can say with some certainty is that from June to September it is mainly hot and sunny. Politically we have two groups sharing the field: the Social Democrats (PSD), and the Socialists (PS). The mayors of each district town have their own budgets and are pretty autonomous, meaning certain rules and regulations can vary greatly from municipality to municipality. Compare to other European countries, Portugal is very stable and secure. There are a large number of private health practitioners and the cost of an excellent private consultation is approx 70€. You can always go to the local state run “Centro de Saude”. You will pay the same fee as the Portuguese (around 10 € per consultation) and may have to wait a while. There are also several hospitals in the area, public and private, which offer a very good service. The Portuguese love their ‘festas’ and most towns and villages will host their own. You can expect a varied selection of carnivals, bands, local crafts and artisans, street food and music to the early hours! Considering the beauty and tranquillity of this area of Portugal, it is not spoilt by tourism; travellers are still able to get a taste of the real Portugal. It is little known, still relatively undiscovered and the area has some stunning scenery and countryside. The beautiful beaches Arrabida or Figuerinha are surrounded by remarkable scenery, the region is perfect also for walking, cycling, mountain biking, watersports or fishing. The area enjoys the reputation of having the cleanest air and beaches in Europe. Beside, in April 2017 was published that the Galapinhos Beach of Sétubal, was elected the most beautiful in Europe, in a worldwide vote in which participants were from more than 130 countries. Why living or investing in the Sétubal région? Because is beautiful, healthy, calm, secure and offer better prices than Lisbon or other parts of Portugal already fully populated by tourists or newcomers. For more information, feel free to contact us.